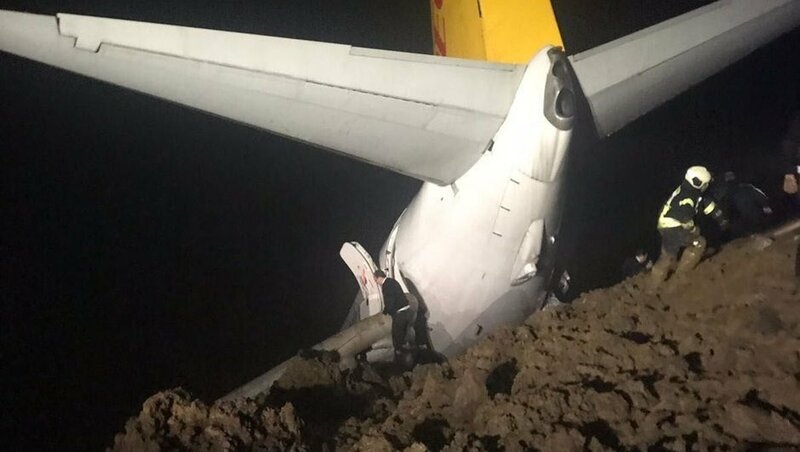 Only in the cold light of day can it be clearly seen what a lucky escape the passengers and crew of the Pegasus Airlines Boeing 737-800 had when the aircraft skidded off the runway at Trabzon Airport. 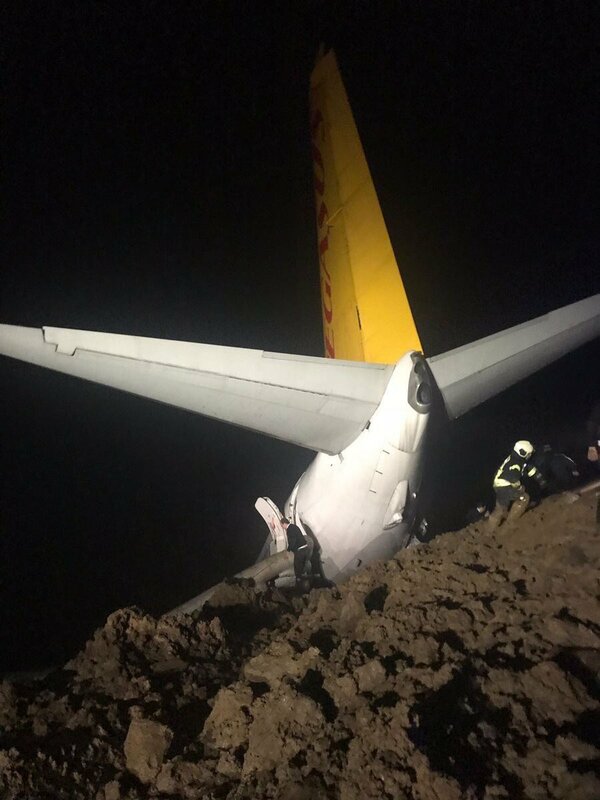 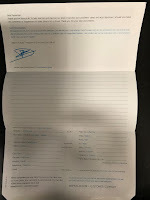 The aircraft was flying from Ankara to Trabzon, with 168 passengers and crew onboard the flight late on Saturday night. 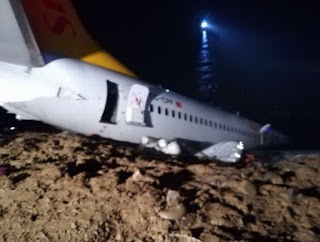 It is believed that everyone on board was evacuated safely, and the local provincial governor, Yucel Yavuz said confirmed that no injuries were reported. Mr Yavuz said the airport was closed for several hours while investigations took place. 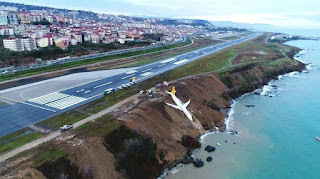 According to the Erdogan Government controlled Anadolu news agency, there was panic on the aircraft when it skidded out of control on the runway. 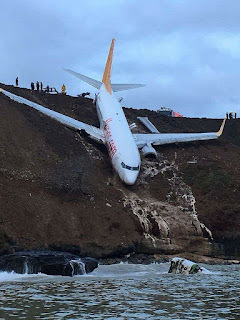 "We tilted to the side. 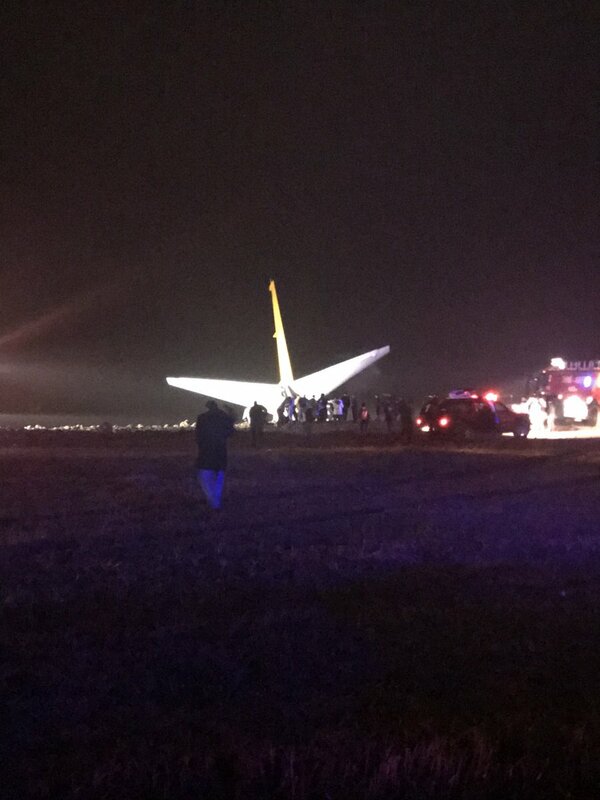 The front was down while the plane's rear was up. There was panic, people shouting, screaming," a passenger Fatma Gordu was quoted as saying. 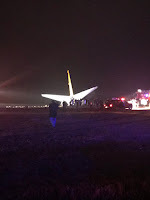 However, from a video shown by local media, from inside the aircraft after it came to a halt, it seems remarkably relatively calm and ordered.